The ill-effects of obesity as a disease are increasingly well known to one and all following the media limelight on this critical issue. Parents are encouraging their kids to eat healthy food and adopt a healthy lifestyle rather than snacking on junk food and gaining weight. There is a state of urgency which has emerged even in the mindset of working employees who were earlier happy to get back home from the office and simply indulge in leisurely activities. It is not an uncommon sight to see an office employee run down to the gym with a fresh pair of clothing in his bag rather than simply going back home and switching on the TV. This positive mental transformation in the battle against obesity is certainly a very critical development towards ensuring overall fitness for humans. However, it is important to note at the same time that obesity affects our furry companions to the same degree if not worse in nature. An obese cat is at least four times more likely to develop diseases like diabetes which can prove to be extremely critical in nature as well as contract heart disease, arthritis and high blood pressure at the same time. Not only this, but they are also two and a half times likely to contract diseases like urinary stones which cannot be cured without the use of surgery in several cases. Cats also tend to grow increasingly moody, lethargic and prone to depression as their weight increases. Control the Cat’s intake of unhealthy food while supplementing it productively as well: It may seem like an easy solution to simply cut down the quantities of food being served to cats in comparison to the previous morsels being served. However, such decisions can prove to be extremely detrimental in nature as the cat will grow extremely weak and tired in the absence of intake of quality nutrition levels. 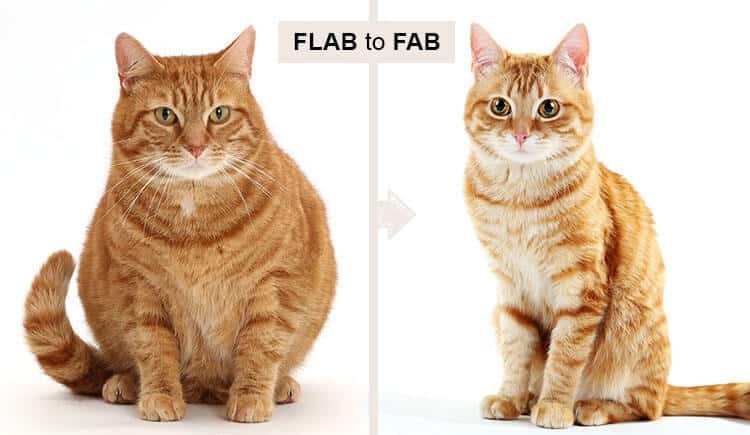 It is important to create a diet plan by which takes into account the needs and requirements of the cat boosting the metabolism of your loyal companion rather than affecting his calories and energy levels. Encouraging a routine which is rich in daily exercise: It is important to ensure that the body is enjoying regular exercise which plays a key role in ensuring the overall fitness. You should attempt to lead the charge yourself by playing with him/her twice a day involving her regular toys as well to make it an entertaining exercise for him. Cat parents can also encourage a daily walk for a short period of time which can act as a good bonding activity while at the same time ensuring mobility of the body which is critical for ensuring fitness. It is also advisable to involve climbing and scratching posts within the exercise routine. Get a vet’s opinion: It is important to take the opinion of someone who is well-versed with the medical issues affecting cats as certain medical conditions have been identified as responsible for a sudden increase in weight in certain cases. A vet can also structure a weight loss program with proper guidelines which can help him lose weight in an advisable and healthy manner. It is important to maintain a close vigil at the health of your furry companion in order to safeguard his overall well-being.